There are market here is Baltimore, Maryland is officially HOT!! Yes. It is HOT!! By hot, I mean there is limited inventory on the market right now. 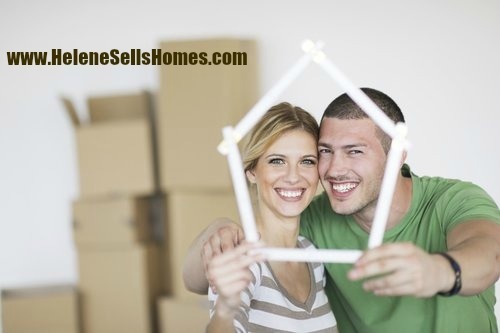 There are lots of buyers in the market right now who want to be homeowners. However, there aren't as many listings to go around for all the current buyers to choose from. This then turns into what we refer to in the industry as a "multiple offer" situation or possibly using an "escalation clause". An escalation clause is used when there are multiple offers and you indicate how much over the highest over you are willing to go. Pretty crazy right? One of my buyer clients asked me, "Helene, if the market is this crazy, what can I do to get ready and be prepared to buy a home in Baltimore?" Excellent question I told them! In addition, after working with many buyers and sellers and getting them prepared for the home buying and selling season, this is what I tell them. Meet with your REALTOR and find out what amount you may be preapproved for a mortgage. I know, it's very tempting to want to start with shopping for the perfect house first. Especially after watching many episodes on House Hunters on HGTV! However if you don't know what you are preapproved for, how do you know what price ranges you should be shopping in? You don't. Not without speaking to a lender. Unless you are using cash. Not to mention, after you meet with your REALTOR, you could find out more information about down payment assistance programs that you may be qualified for. Down payment programs are a plenty right now. These programs will greatly reduce if not eliminate the dollar amount (down payment) a buyer has to bring to the table. In my experience, I have had a buyer who only needed to bring $0.00 to the table! No that is not a typo! $0.00! How cool is that? For the amount that was left over, we were able to apply it to the buyers priciple. Thus reducting the amount of the morttgage balance. This reduced the amount of the loan. For another buyer, they only had to bring $500.00 to closing. As their REALTOR, I was able to successfully negotiate the seller covering all of the closing costs. It was a great feeling to help my buyer this way! Initially the buyer has to or should have an idea of where they want to live. Some programs are based on the location of the property. This is key. If you want to live in Baltimore County and go to the requirement for Baltimore City, you have not qualified for the program. Once you have that narrowed down, next step is to learn the terms of the program. Is the program forgiveable after so many years of living in the home? Do you have to pay any of the program back if you sell within in a certain period of time? Can you prepay your mortgage without penatly? Is the program recorded as a second mortgage or lien against the property? The terms of the program are crucial. Be sure that you learn all these ahead of time prior to making the committment. Down Payment Assistance and Partner Match Programs may be used for things like down payment, closing costs, and prepaid/escrow expenses. They may be available in the form of zero-interest deferred loans, forgivable loans, or outright cash grants. The Maryland Mortgage Program provides help in the form of Down Payment Assistance, as well as a some Partner Match programs from certain employers, some developers and various community organizations that can help you cover these down payment and closing costs. These programs may make it possible for first-time homebuyers to afford a mortgage when they would not be able to do so the conventional way. The Maryland Mortgage Program features Down Payment Assistance, which is an additional loan available to anyone who is eligible for a Maryland Mortgage Program mortgage, helps borrowers put together a suitable down payment on their home. This loan, which can be up to $5,000, is a zero percent deferred loan, which means that you only ever pay back the principal (there’s no interest) after you complete all payments on the main Maryland Mortgage Program mortgage, or if you refinance, sell or otherwise vacate the home. The Department of Housing and Community Development has partnered with a range of organizations that can provide you with additional funds (sometimes grants, sometimes loans) to help you purchase your first home, and which will be matched by the Maryland Mortgage Program up to $3,500 (as a zero-interest deferred loan - some conditions may apply). In addition to the Department’s Down Payment Assistance and Partner Match programs, many local governments throughout Maryland offer additional support to purchase a home in their community. These local governments often work with employers and community organizations to provide local partner assistance beyond state programs already described above. This assistance can be combined with the Department's Down Payment Assistance and Partner Match Programs to help you with upfront homeownership costs. For more information on these programs, contact me today. Download my mobile app for quick access to listings on the market today!